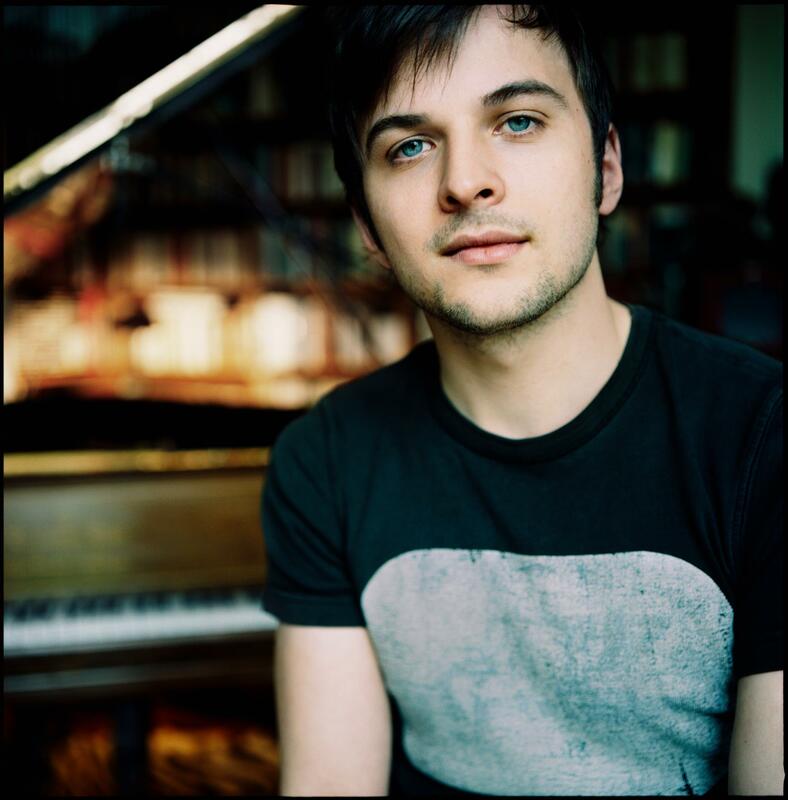 Although it is only fourteen months since I first heard him play his extraordinary music at the St Bonaventure’s in Bristol alongside Shearwater, it feels like I have known the music of Nils Frahm for a long, long time. The Bells and Wintermusik frequently accompany me when I want to withdraw and close into my own space. Felt, the latest project is now released via the excellent Erased Tapes Records (whose roster cannot be too highly praised imho). Even more than his previous work, Felt has a remarkable intimacy about it, taking the listener into what feels like a private place accessing the most fleeting of sounds. Fearful of disturbing his neighbours if he played into the night, Frahm laid thick felt dampers over his piano to cover the sound, placed the recording mics down close to the strings and hammers, and played softly. The result is not just the capturing of the sound but the capture too of the mechanics of the sound, the movements of the piano, the floorboards beneath, the breathing of the artist. The tape noise, the movements, the hammers preparing to strike the strings might easily just be distractions from the music but instead they add an entirely sympathetic and necessarily symbiotic and synergistic element. All together these components draw you deep into the music where no one element is quite what it seems. Tracks like Less are built as much from the energies and preparations to make the music as it is of the music itself. Calling the album Felt must too be a duplicitous title, not just the felt that was use over the instruments but the fact that the music itself is so deeply felt. Quite delicious in its sparseness, Frahm again has demonstrated just how powerful is his talent despite his tender age of 23, Felt will be another of his records that I go to when I seek to block out the press of humanity and the crush of daily life; well nigh perfect. Frahm will be playing a series of European dates to accompany the launch of this album, including just a few in the UK, they can be found listed here (although it is worth noting the Reading date is now in the Reading Minster). From my singular experience of seeing him live it is a captivating and moving experience – go get. This entry was posted in Uncategorized and tagged Erased Tapes, Nils Frahm. Bookmark the permalink.